Fast computer connectivity is a vital factor in many businesses, which rely on a stable network connection. In fact, businesses which have a stable connection have shown significant improvements in staff communication, collaboration, and marketing [Chron]. Therefore, installing the right Ethernet system for the business, regardless of its size and type, should be the top priority. Now, what is an Ethernet and how can it help in business processes? Actually, Ethernet networks function by connecting multiple PC units through either a wired or wireless connection. Both of these network connections are effective in transferring data across several computing devices. However, choosing which type of network that would best suit your business is a daunting task. You might have a little knowledge about it. But, it would be better to get a professional’s opinion on the matter. And, this is the reason why it is a great option to get an industrial PC support. So, read more on this blog and understand how technical support can help when choosing the right network connection for enterprises of all sizes. Wireless or Wired Network Connection: Which One is Better? Wired and wireless networks are the two most commonly used computer data transmission systems. Both are used to effectively connect multiple devices and allow for remote unit control using the main PC. And usually, these are the two most recommended network systems by industrial computer experts. So, let us discuss more the difference between wired and wireless system connections. Wireless networks require the use of specialised devices which can transmit data via radio waves. Its data transfer speed varies depending on the router use and the signal strength. So, this is most suited for business operating within a small area where laptops are the primarily used device. Wired Ethernet systems have a compatible Ethernet cable to transfer data from one connected device to another. This system uses a switch and hub which efficiently relays the information across the Local Area Network. This is ideal for transferring large quantities of data within a short time and is best for companies operating in large corporate buildings. However, this type of connection is limited by the cable length and requires a dedicated physical space. But, contacting tech support enables you to know whether or not your devices are compatible with the available wired connection. 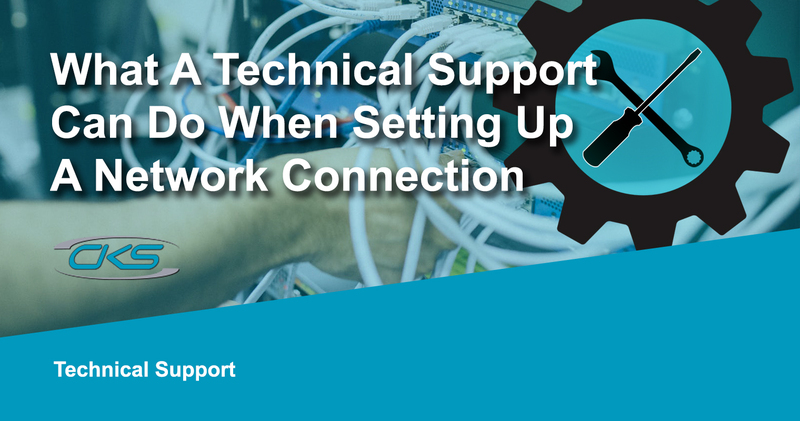 Likewise, once the Ethernet ports are set up, tech support can help you fix common connectivity issues. Now, both the wired and wireless network connections can be used in different applications including industrial operations. But, an operation might still experience lag spikes and connectivity issues despite having the fastest LAN connection available. So, it would be best to consider contacting a technical support team to analyse and guide you toward fixing this issue. Nowadays, a stable network connection is essential to businesses which operate in an online landscape. Therefore, having the right Ethernet network for your enterprise’s size will help drive your business towards the final goal. Find a reliable technical support team and ask about industrial PCs with compatible Ethernet ports for your business processes.